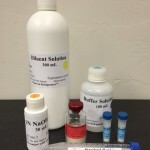 ﻿ Products – Vinmetrica – Sulfite (SO2), Malic, Alcohol & pH/TA tests for Wine, Beer & Kombucha. 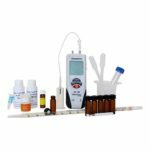 Test for alcohol in your wine, beer, mead, cider, and distilled spirits with the new Vinmetrica ABV Kit! 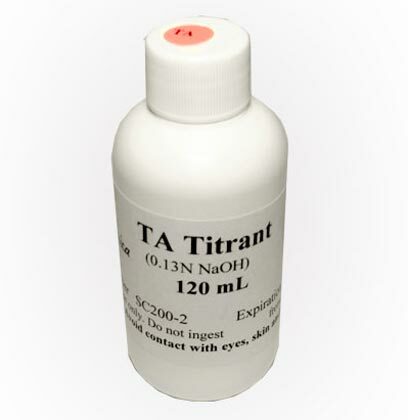 NOTE: We highly recommend a 10mL burette for this assay. If you already have a 25mL burette we recommend getting a 10mL burette separately to ensure the highest level of accuracy. 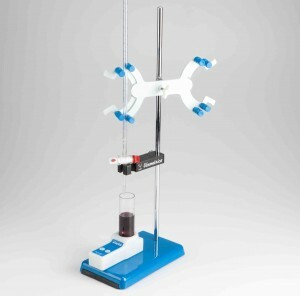 If you select the 10mL burette option for the ABV kit, you will also receive a lab support stand and a double burette clamp. The Vinmetrica SC-100A analyzer gives you confidence to run your sulfite assays accurately and quickly. 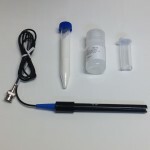 Kit includes everything to perform ~50 tests: SC-100A meter, electrode, reagents, pipettes, syringe and beaker. 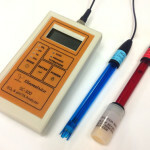 The Vinmetrica SC-200 analyzer gives accurate pH and TA values. 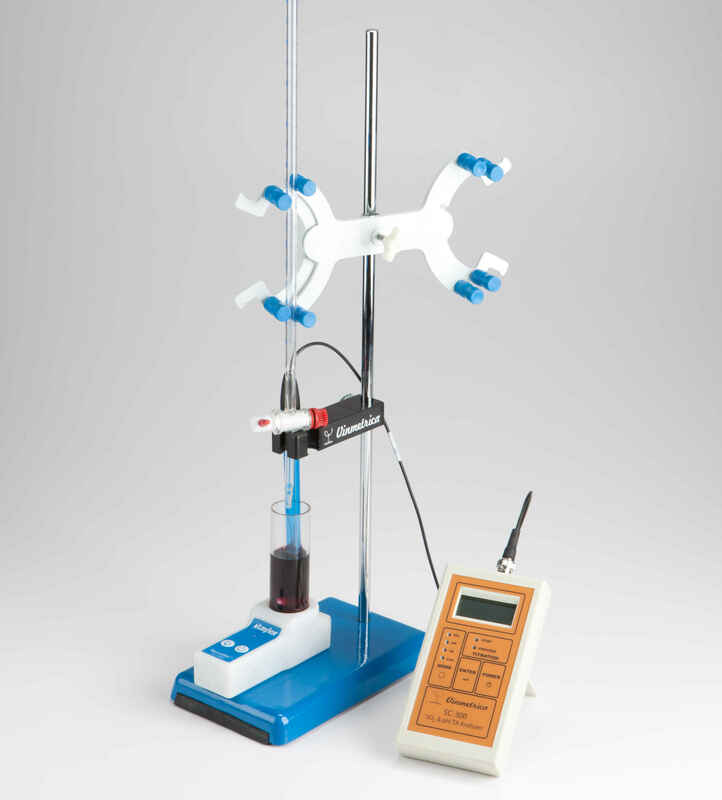 Kit includes everything to perform ~30 pH & TA tests: SC-200 meter, electrode, reagents, pipettes, syringe and beaker. Pro Kits are back in stock and we are processing orders in the order they were received. Thank you for your continued patience. 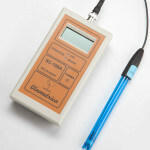 The Vinmetrica SC-300 analyzer gives accurate SO2, pH and TA values. 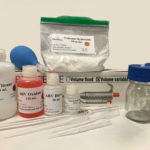 Kit includes everything to perform ~50 sulfite tests & 30 TA tests: SC-300 meter, both electrodes, all reagents, pipettes, syringe and beaker. 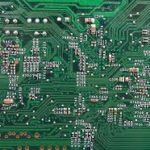 For older model SC-100A, SC-200 and SC-300 instruments with their original firmware, this service includes the installation of the latest version of the firmware and a final test of the instrument to ensure the firmware installed correctly. 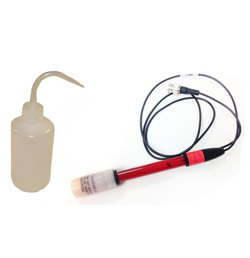 Available March 1, 2019 The Dissolved Oxygen electrode easily attaches to your SC-200 or SC-300 Analyzer. 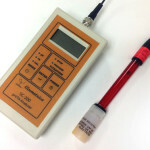 Giving you accurate values with an easy to follow method, determining your Dissolved Oxygen levels has never been easier! 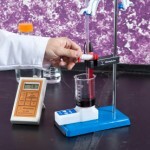 Dissolved Oxygen System Manual Coming Soon! Extended Warranty for SC Series devices. If available, please write the Serial Number of your instrument in the 'Customer Notes' section of your order. 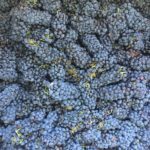 This will help speed up the verification process.